Chúc mừng sinh nhật Dustin Nguyen!! Happy 52nd Birthday Dustin Nguyen! In honor of Dustin Nguyen's 52nd birthday today, I'm posting some of his interviews. He gained popularity from playing Harry Ioki in the TV series 21 Jump Street and his career has taken off from that point! Chúc mừng sinh nhật Dustin Nguyen!! 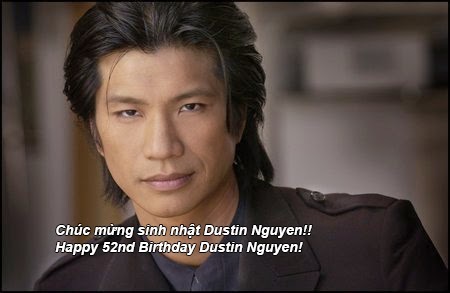 Happy 52nd Birthday Dustin Nguyen! Josh Barnett: "I am a Catch Wrestler."